The Boys & Girls Clubs of Kawartha Lakes (Club) is a registered non-profit charitable organization devoted to serving and strengthening children, youth and families throughout the City of Kawartha Lakes and Peterborough. 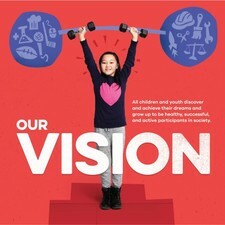 Vision- All children and youth discover and achieve their dreams and grow up to be healthy, successful and active participants in society. Mission-To provide a safe, supportive place where children and youth experience new opportunities, overcome barriers, develop positive relationships and build confidence and skills of life.